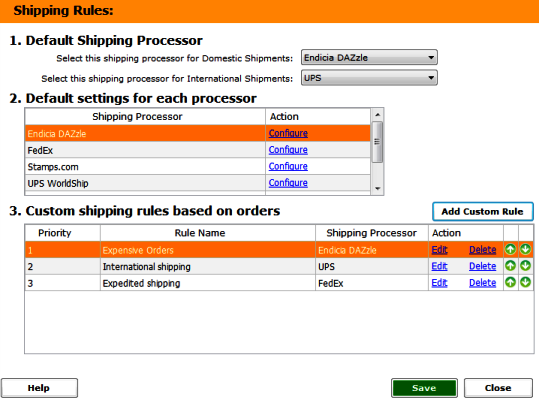 Shipping rules can be created for each shipping processor that is selected within the store configuration. 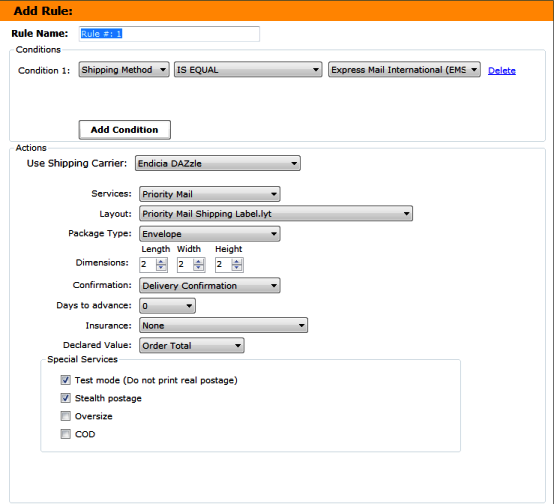 To create a shipping rule, select “Add Custom Rule” in the Shipping Rules setup screen. Rule Name: Create a name for your custom rule. • Shipping Method Requested: This is the shipping method that is requested within the order. Note: Multiple conditions can be added, but that increases the complexity of the rule(s). If you find yourself creating multiple conditions to a rule, it may be best to create another custom rule altogether. Choose a shipping processor that you have integrated with Shiplark. Settings will change depending on the shipping processor. Click Save to save the rule and it will appear in custom rules box. Multiple custom shipping rules can be utilized to help you ship faster. When orders fulfill the requirements to trigger a rule it will be activated within the shipping module. The shipping module is greyed out because there are no settings to make. 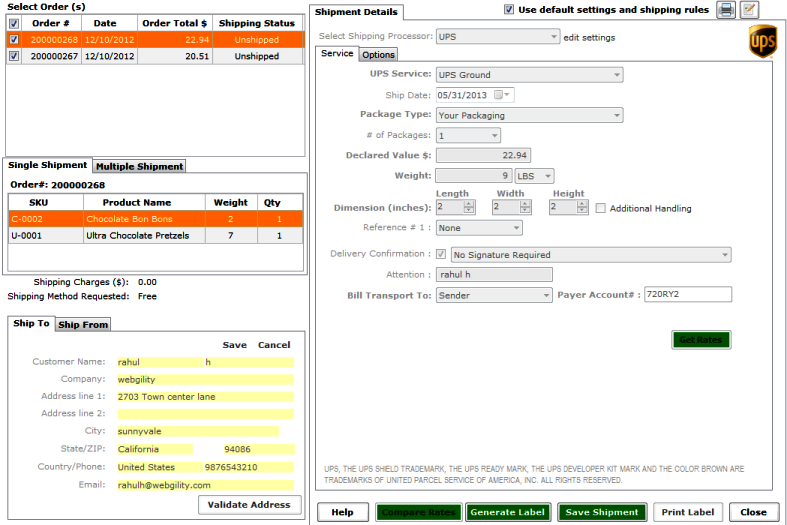 Click on Generate Label to print a shipping label based on the customized rules.